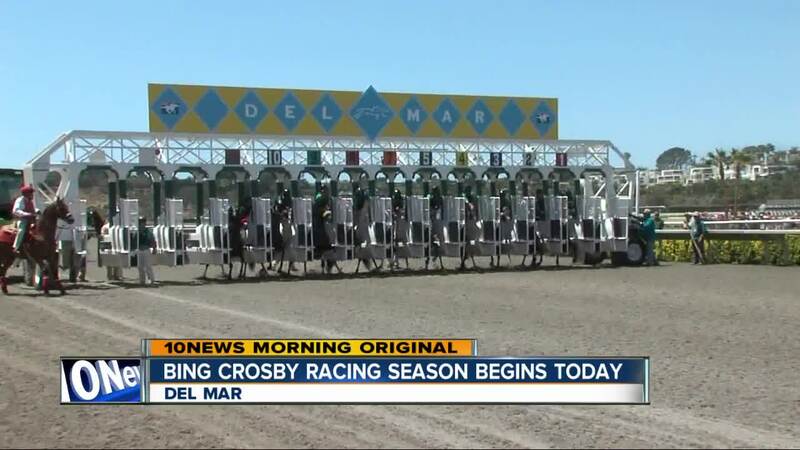 DEL MAR (KGTV): The Del Mar Racetrack will open it's fall season Friday afternoon, it's the fifth year of the Bing Crosby Racing Season. "You got 16 days to basically, do everything," says CEO Joe Harper. The shorter season features smaller crowds and smaller fields, but trainer Peter Miller says that's part of its charm. "It's easy to get a drink. It's easy to get a bet down. It's easy to watch the races. It's better," he says. "And it's better to train the horses on this kind of a laid back, easy going situation." Miller's horses won 31 races at Del Mar over the summer. He hopes to have similar success over the next month. Around the track, Harper says betters can have success by getting more access to horses and betting lines. "It's a short meet. It's full of good horses and good racing. It's a local's meet, which I love, a little less hectic than the summer," says Harper. The track has 16 days of racing planned, and every day has some kind of theme, festival or concert. That includes a special Veterans Day event and even a Thanksgiving dinner for families that want to take in the races on the holiday. Full details on tickets and events can be found here .